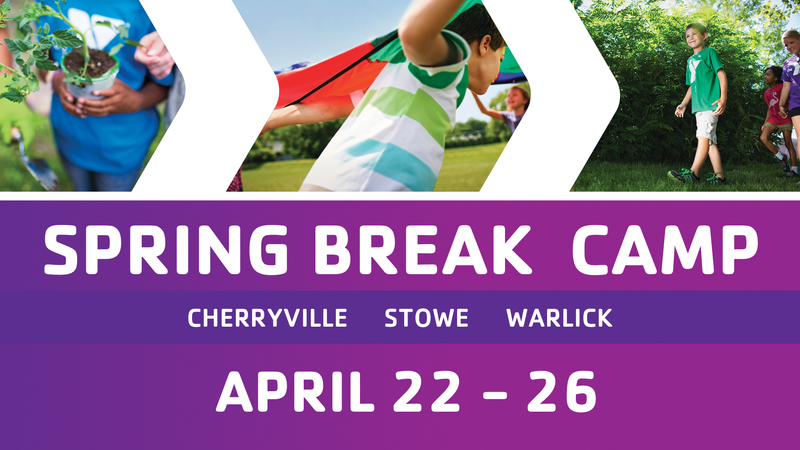 The Stowe Family YMCA is excited for a spring break! Campers will enjoy a taste of summer camp a little earlier in the year with two great options for Spring Break Camp . Special activities are planned each day for campers to stay active and engaged all week long. Take a look at the offerings below and register online or at the YMCA today for the days your child will attend! Are you ready to swim? Spring Break Swim Camp is for school aged students who LOVE the water! Campers will focus on improving swimming ability in small progressive groups. They will also focus on water safety, basic first aid and CPR skills. Click here for additional details on Spring Break Swim Camp. Monday, April 22: Spring Things! Weather Word Search, Kites & Flowers Craft, and jumping games that get us bouncing & springing around. We are going to take advantage of the beautiful crisp spring weather! Teamwork & Up-cycling at its best! Our campers will break into small groups to create an imaginatively up-cycled box project. They will also be challenged to play everyday games in an out of the box way; changing a rule, doing it backwards, or making up something new. Counselors will surprise our campers with their wackiest outfit, craziest games, and funniest stories, ending with a midweek Campfire to celebrate their favorite moments of their day and have an all camp Water Balloon Dance Party! Astronomy word puzzles, glitter crafts and Thankfulness devotions will fill our day. An all camp ALLSTAR banner will be made to celebrate our time together! Campers will swim! Pack a swimsuit and towel! Show and Tell with items that represent our campers will start our day. A me-to-we craft will allow our campers to team up and create a new “something” that represents them as a group. Campers will swim in the afternoon! Pack a swimsuit and towel! The day will end in a popsicle picnic to celebrate a great week together at camp.